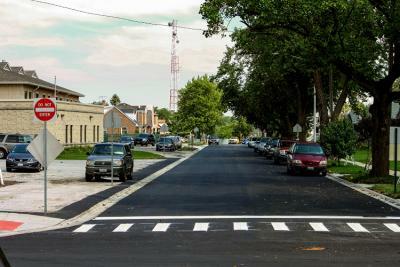 Street rehabilitation project in Blue Island, Illinois, funded with a Community Development Block Grant (CDBG). Cook County Board President Toni Preckwinkle and the Cook County Board of Commissioners this week accepted annual grant awards from the U.S. Department of Housing and Urban Development (HUD) to support vital infrastructure, community services and economic development activities in Cook County. View full release. This funding, pending HUD approval, will be used for projects that include infrastructure improvements for communities and businesses. Support will also be provided for shelters and services for veterans, the homeless, individuals with disabilities and other residents in need.